Our organically crafted Clary Sage Hydrosol is steam distilled from the pastel purple flowers and soft green leaves of the Salvia sclarea plant cultivated in the colorful fields in the mountain regions of France. A wonderful herbal mist, Clary Sage Hydrosol is emotionally calming and gentle with an herbaceous, pleasing and bittersweet aroma. Clary Sage is also known by the names 'clear eye' and 'eye bright' because of its traditional use as a treatment for eye health. Clary Sage Hydrosol has a delicate scent that is much more subdued than the essential oil, and the scent can be described as grassy and almost tea-like. Suzanne Catty, author of Hydrosols: The Next Aromatherapy describes the aroma of Clary Sage Hydrosol to have a slight Early Grey tea (Bergamot) aroma and recommends its use for oily skin. This astringent hydrosol is often used in women's skin care formulas, or as a fixative for top note essential oils in aroma sprays. Clary Sage Hydrosol is refreshing and makes a wonderful toner, make-up remover and for treating irritation, tension, or any female-related skin imbalance. Tranquilizing, intoxicating and spellbinding, Clary Sage Hydrosol has been used for its ability to provide a sense of calm and to ease anxiety and stress. 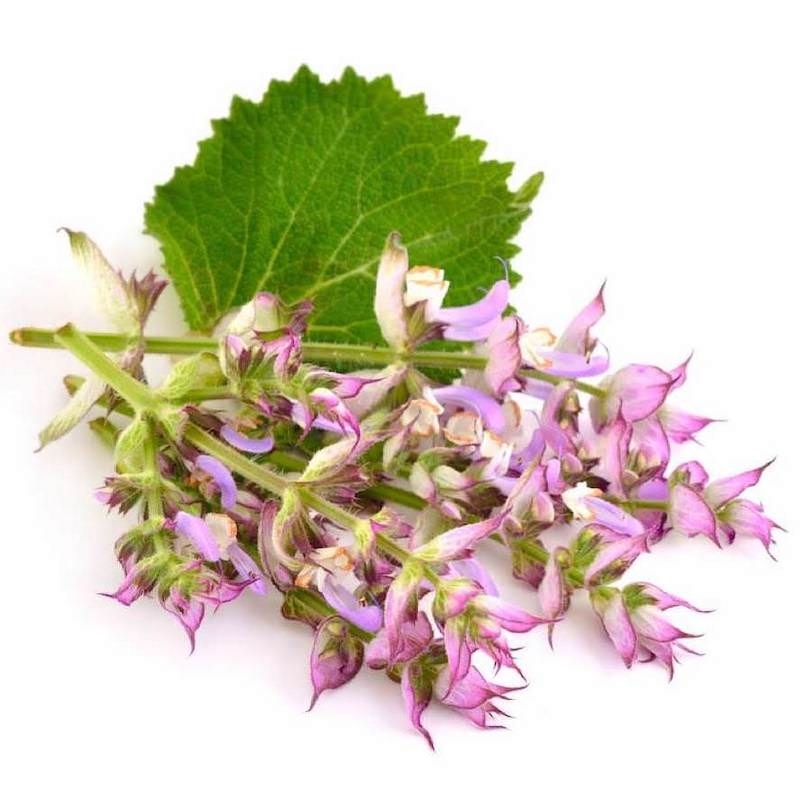 Catty recommends the use of Clary Sage Hydrosol for irritability caused by PMS and for menstrual cramps. Catty also mentions that some find it to act as an aphrodisiac and as such, it may be a wonderful addition to formulation intended for sensuality and romance.